Workers at three rail companies have begun a 24-hour strike on the day of the Grand National horse race. Merseyrail said choosing to strike on the day of the race meeting would damage Liverpool’s reputation. Managing director Jan Chaudhry-van der Velde said the protest would “do immeasurable damage”. Speaking after the company’s failed talks with the RMT union, he said the “eyes of the world” would be on Liverpool during the Aintree event. The RMT said it would unveil a mobile advertising billboard to explain the reasons for the strike to racegoers. Merseyrail has drawn up a contingency train timetable to combat the strike action. Rail Minister Paul Maynard said it was “disappointing” that the strike was going ahead and called for conciliatory talks. John Tilley, regional organiser for the RMT in the North West, said: “We don’t want to be out on strike. We want to be able to settle these issues. “The bottom line is, on Northern, the proposal is to take guards off 50% of their services, on Merseyrail it’s 100%. David Sidebottom, director of the watchdog Transport Focus, believes the strikes are being “dumped on passengers”. Merseyrail said services will operate every seven-and-a-half minutes “at key times” throughout the day. The company said it had prioritised the route between Aintree and the city centre, with the replacement timetable in place between 11:15 and 13:30 BST and then between 17:30 and 19:15. Northern, the trading name of Arriva Rail North, said it had added six trains to its Liverpool Lime Street service to help racegoers travel home. 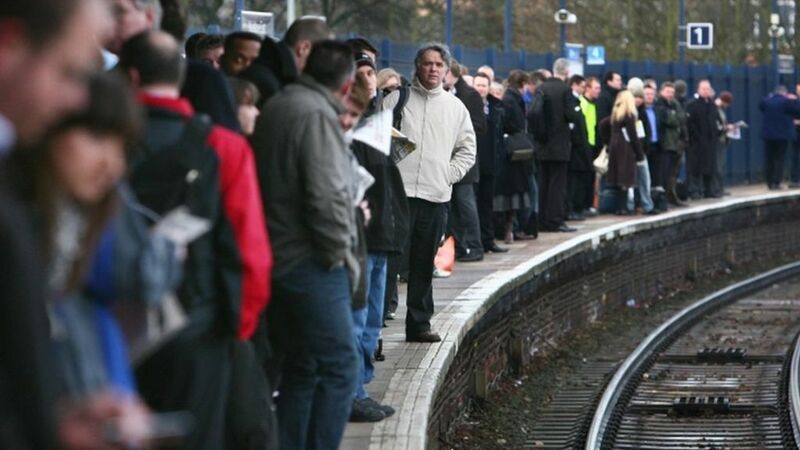 However, the company said its services would still be significantly reduced, and all trains were expected to be busy.